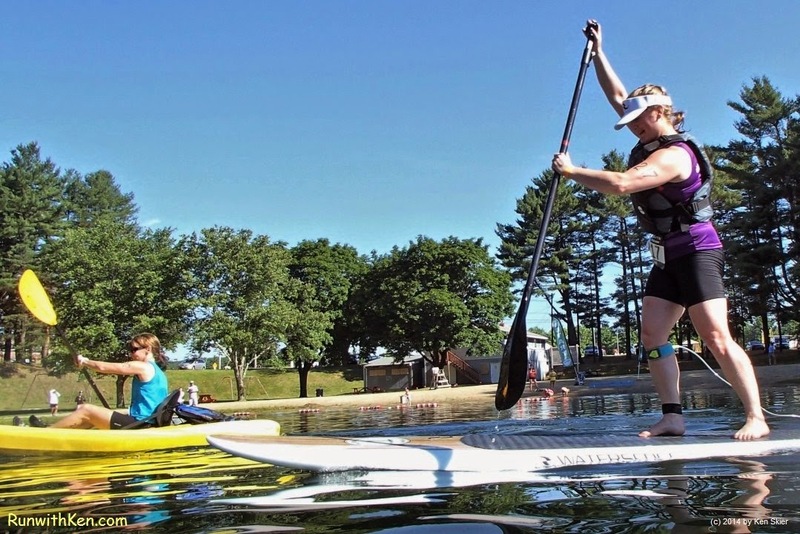 Kayak vs. SUP--a Paddling DUEL! At the XTERRA French River Triathlon in Oxford, MA. I've been a swimmer all my life. than I am on land. ...and only paddled a kayak once or twice. I stayed in the water. winding trails through these New England hills. in Oxford, MA (June 28, 2014).